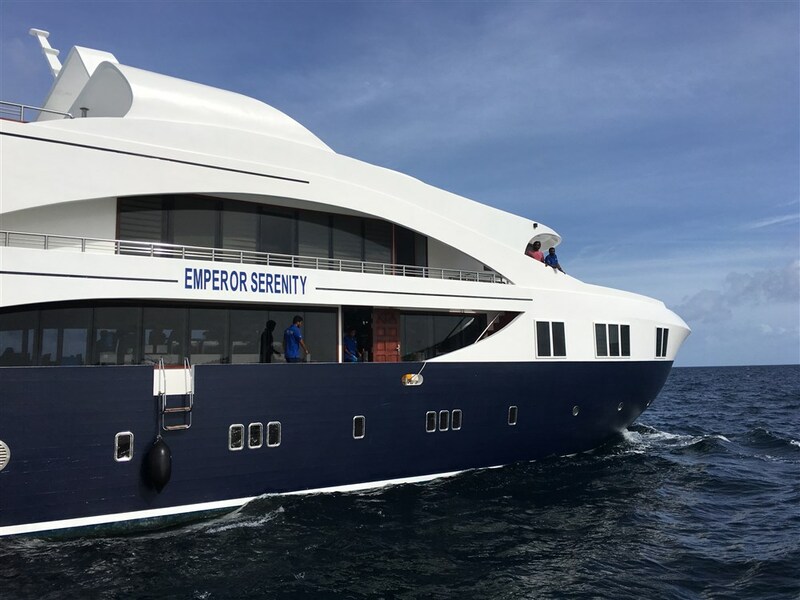 The MV Emperor Serenity welcomes you to the Maldives - one of the most appealing and dreamed-of dive destinations in the whole wide world. 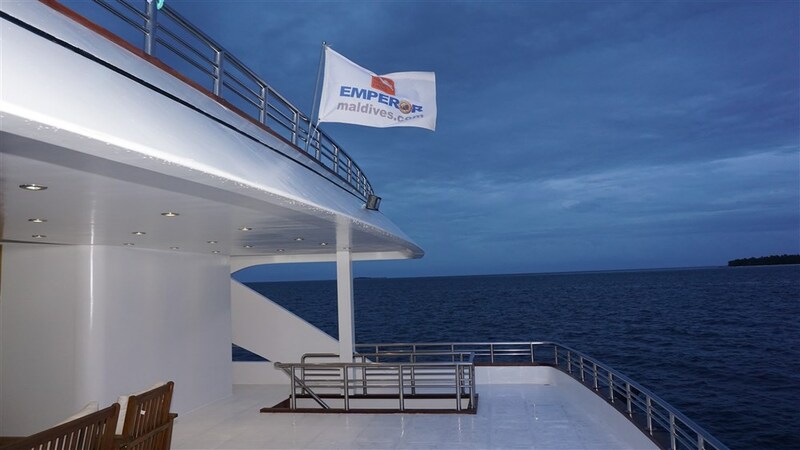 This luxury boat is the high-end member of the Emperor family – a fleet consisting of six dive boats operating in this area – and it is its latest addition, as it was custom-built in 2016. 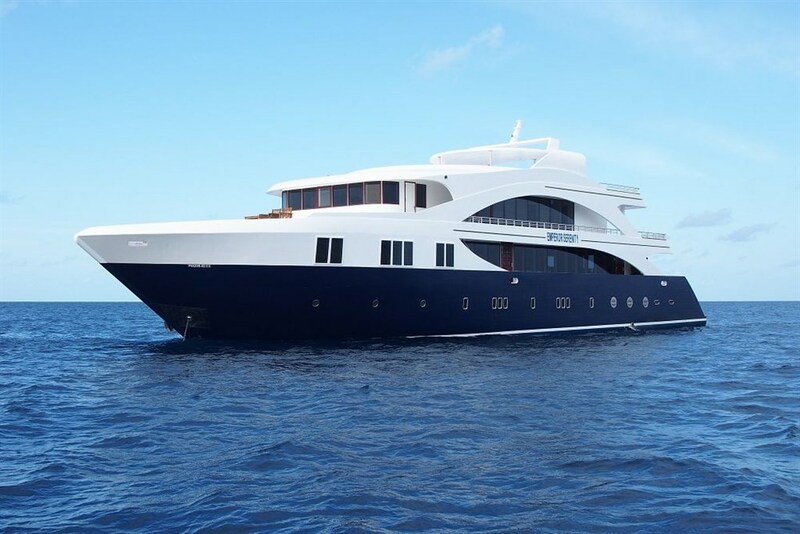 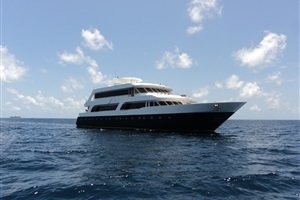 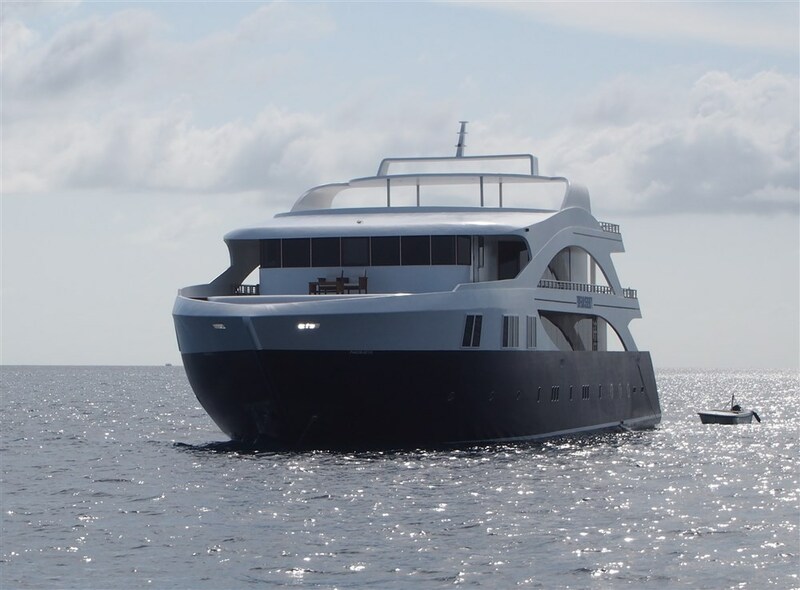 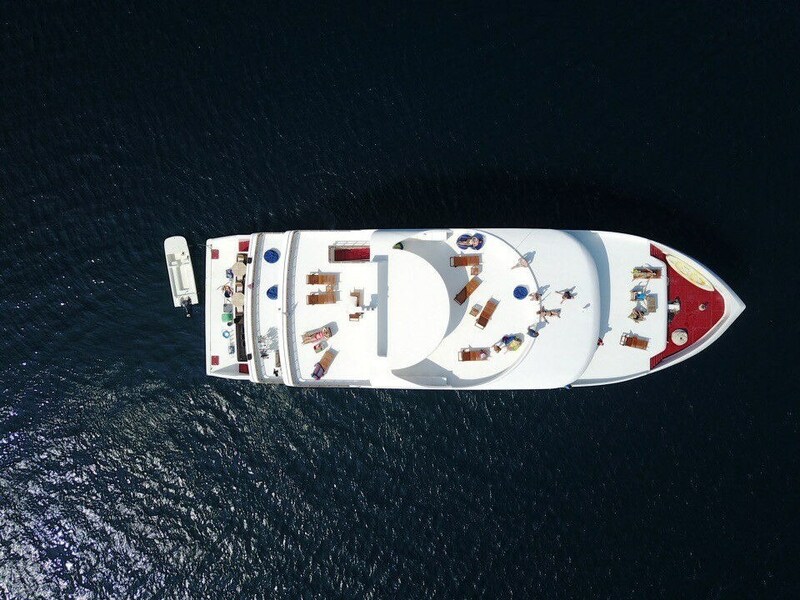 This beautiful vessel is 40 meters long, ensuring that lack of space is definitely not an issue aboard, as it caters to a maximum of only 26 guests, comfortably accommodated in 13 well-appointed en-suite cabins with AC: three double-twin cabins on the upper deck, two on the main deck and eight on the lower deck. 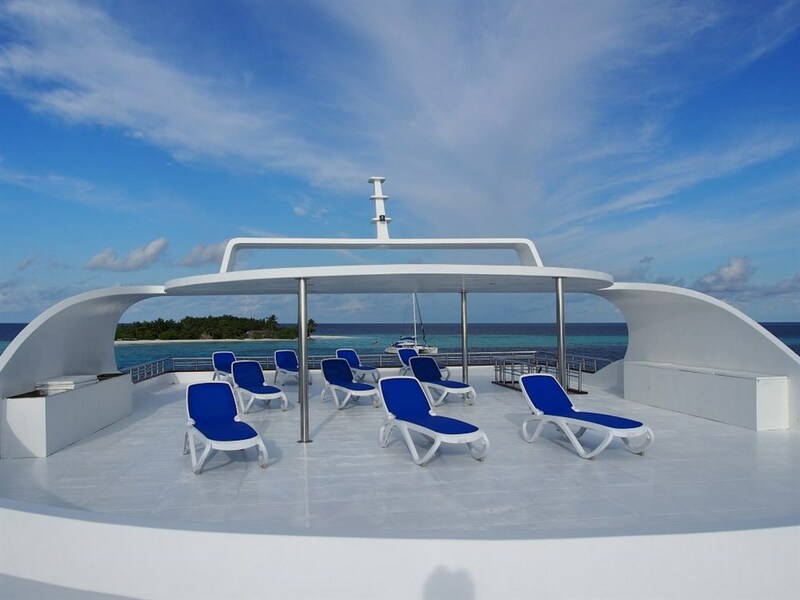 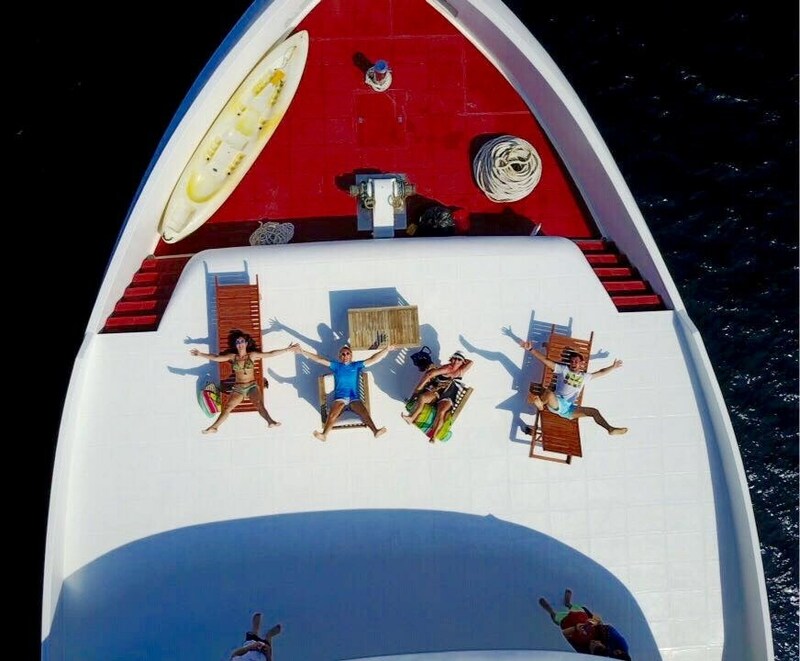 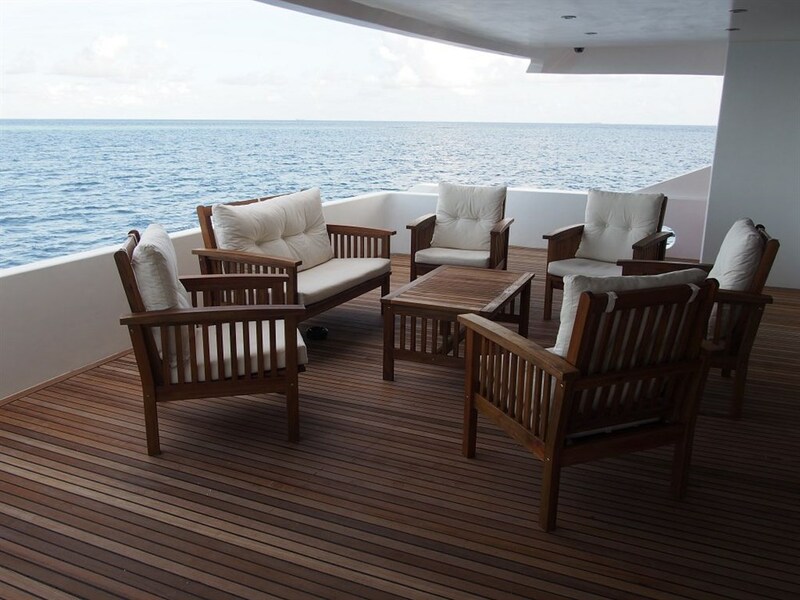 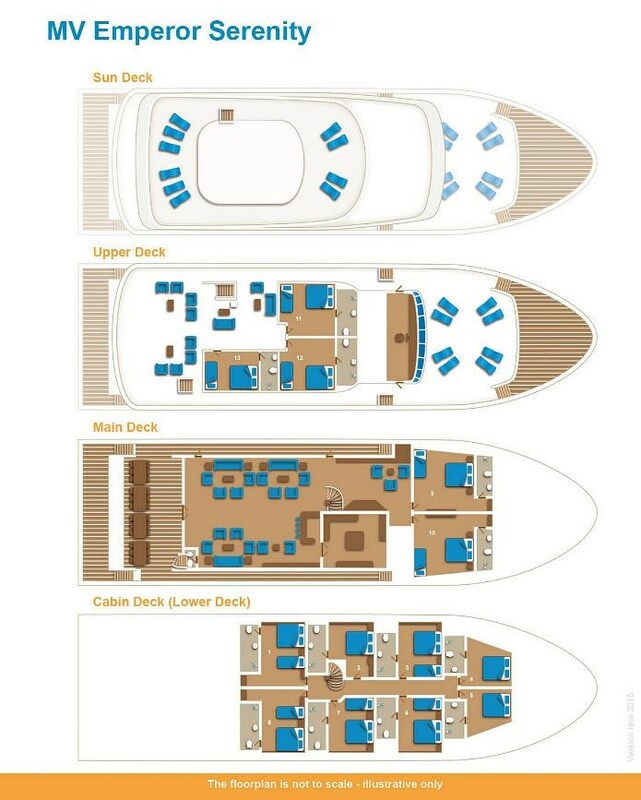 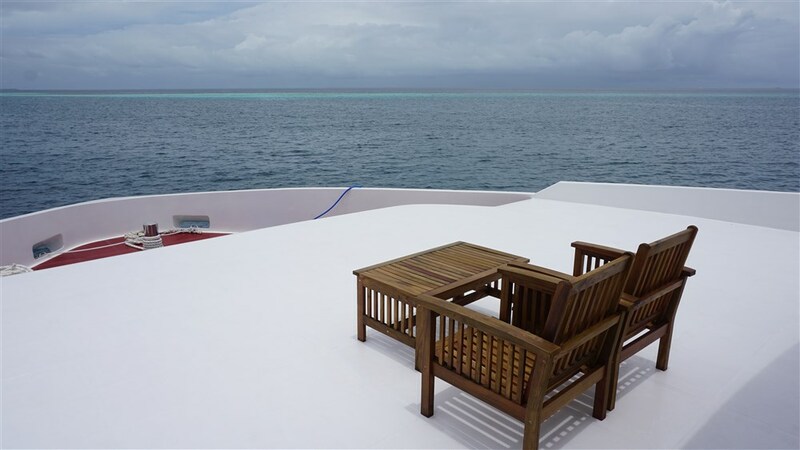 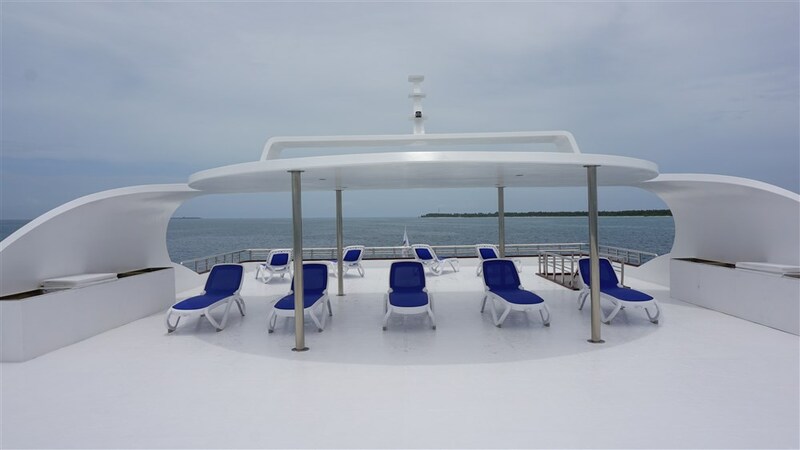 The upper deck features a covered open area ideal for relaxing, enjoying the view and the Maldivian atmosphere or simply having a nap, whereas those preferring to catch some sunrays and get a nice tan can use the sundeck above it. 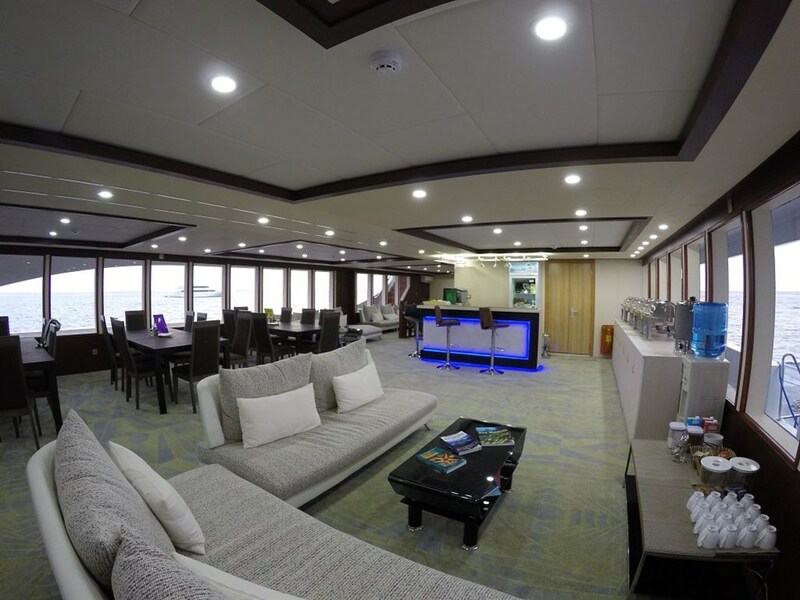 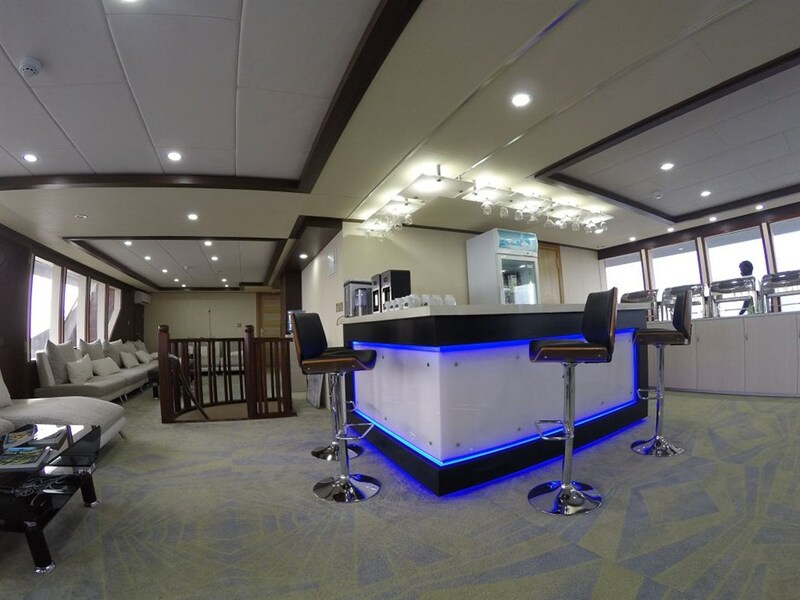 A spacious saloon with AC can the found on the main deck and its comfortable sofas and TV make it the ideal place to relax indoors and away from the Maldivian heat. 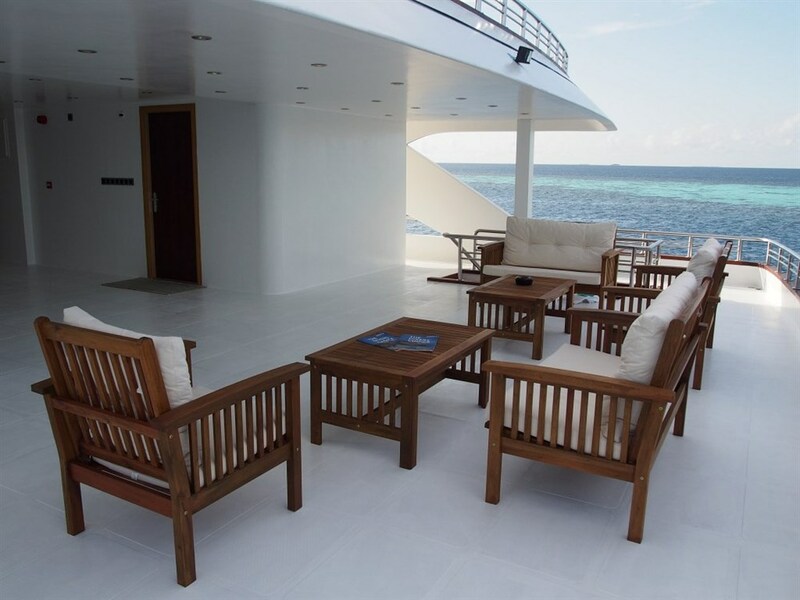 The al fresco dining area is located on the stern of this same deck and it is here that every evening guests are treated to a complementary glass of wine with their dinner. 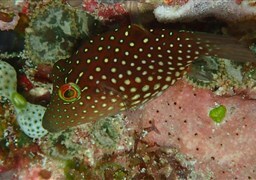 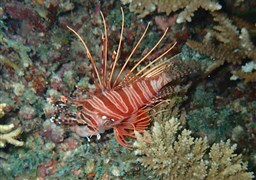 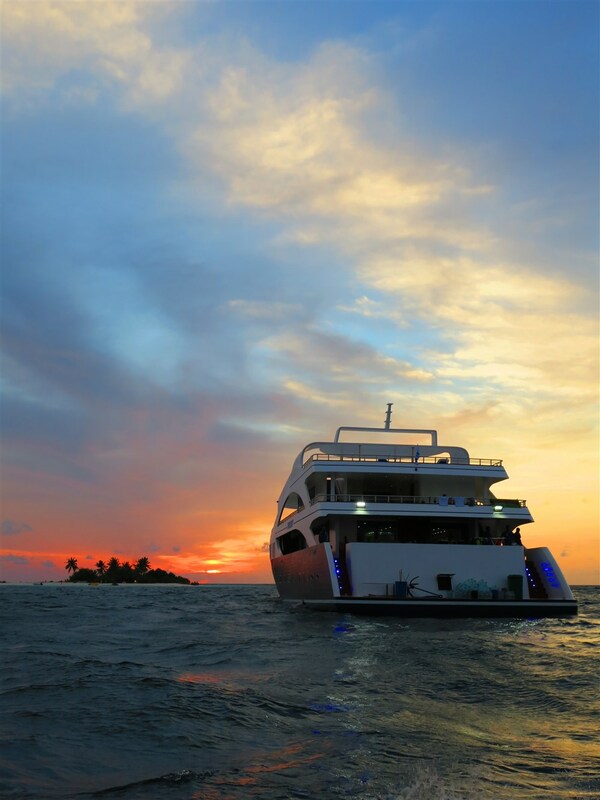 For nightly entertainment, guest can join night dives (when available), watch a movie or simply relax while reading a book or exchanging dive stories. 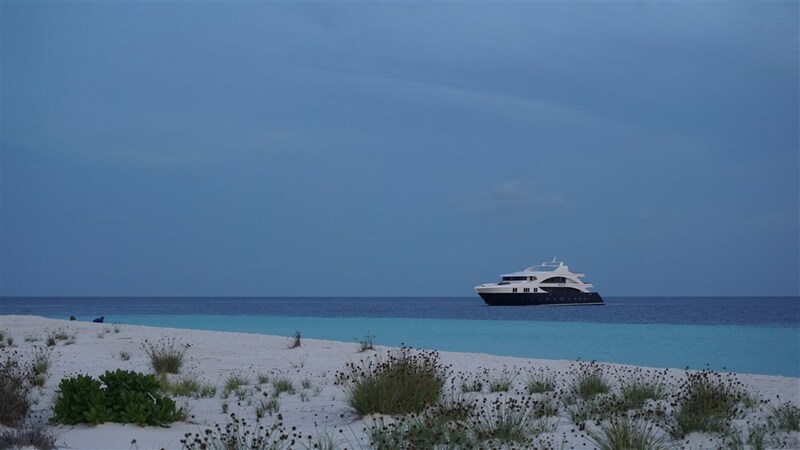 A barbeque under the stars on a deserted island is also on the schedule, should the conditions allow it. 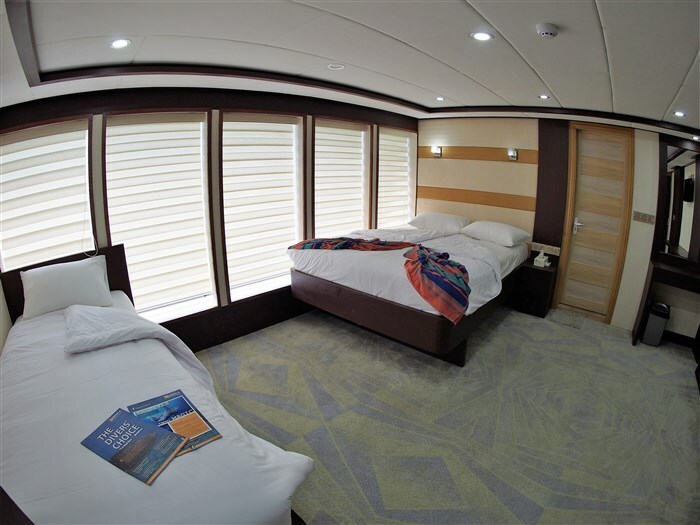 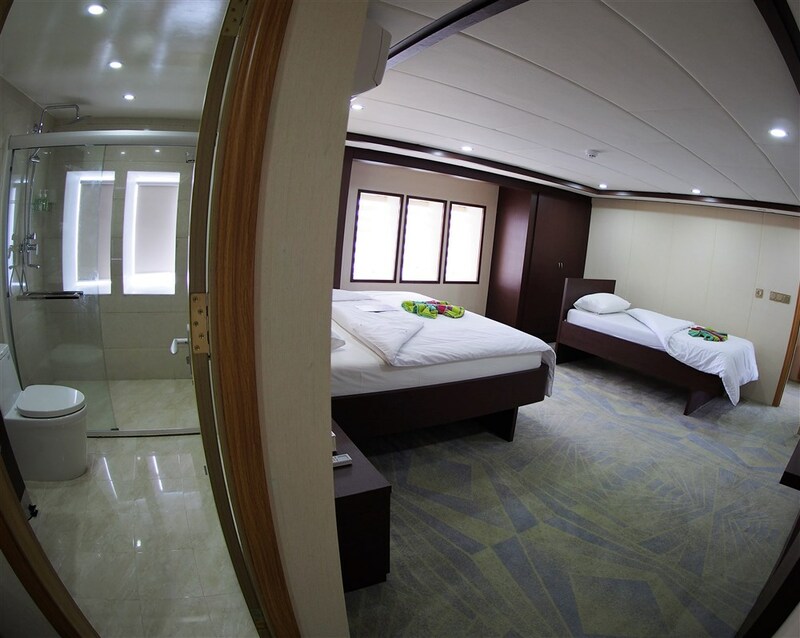 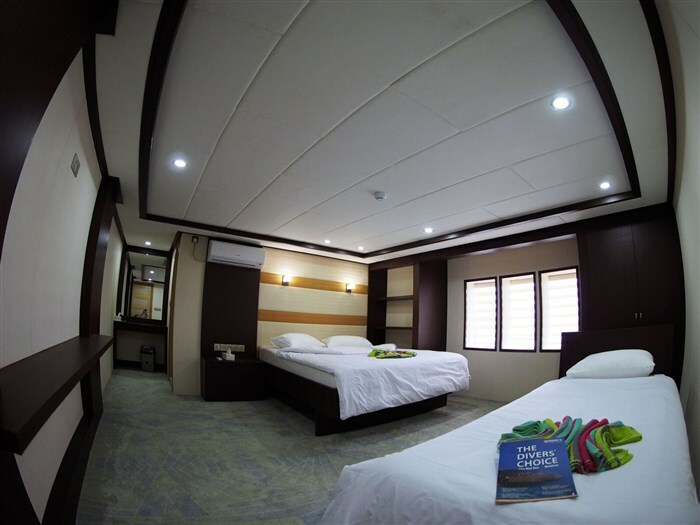 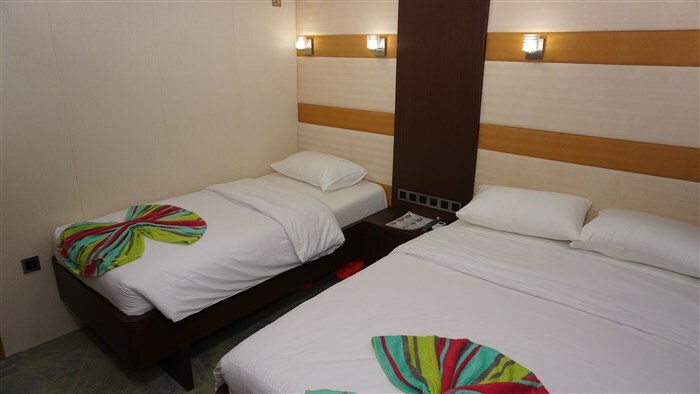 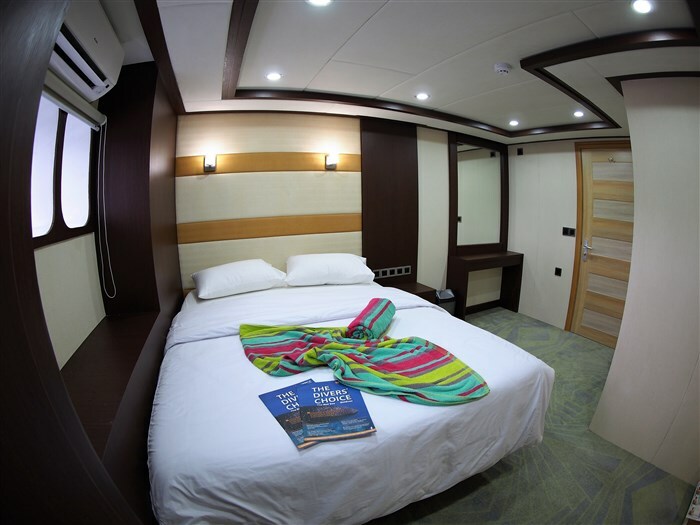 And because the MV Emperor Serenity caters for both divers and their non-diving travel companions, the latter are welcomed with a free snorkeling kit and are offered a $50 voucher to spend on board. 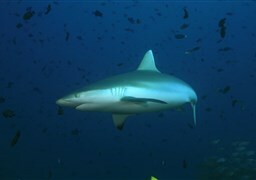 A Male city tour with a local guide is also included upon request. 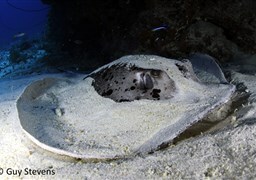 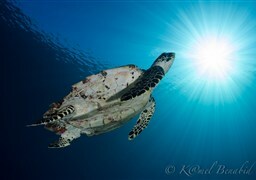 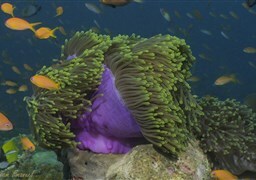 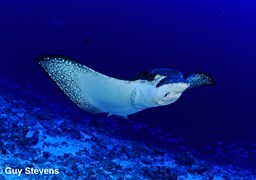 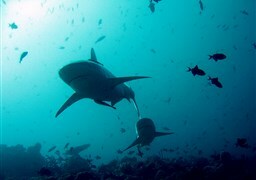 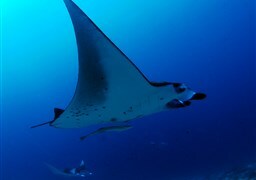 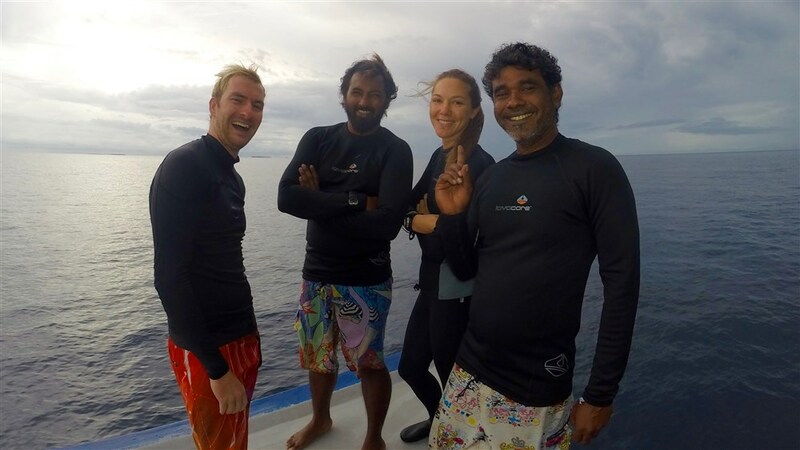 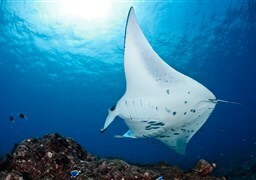 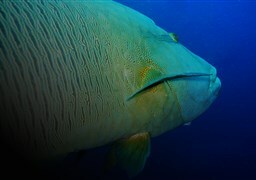 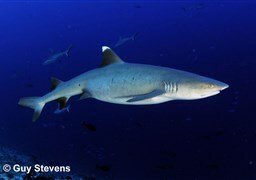 The Maldives are one of the most spectacular areas to dive worldwide and a knowledgeable and dedicated team of four dive professionals will show you the wonders of its seas – such as manta rays, whale sharks and even hammerheads - ensuring that, no matter what your experience or expectation level is, the whole adventure will be one to remember! 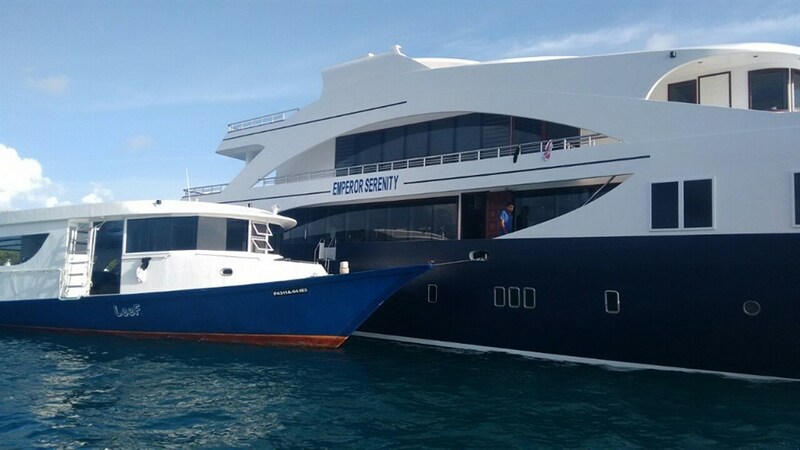 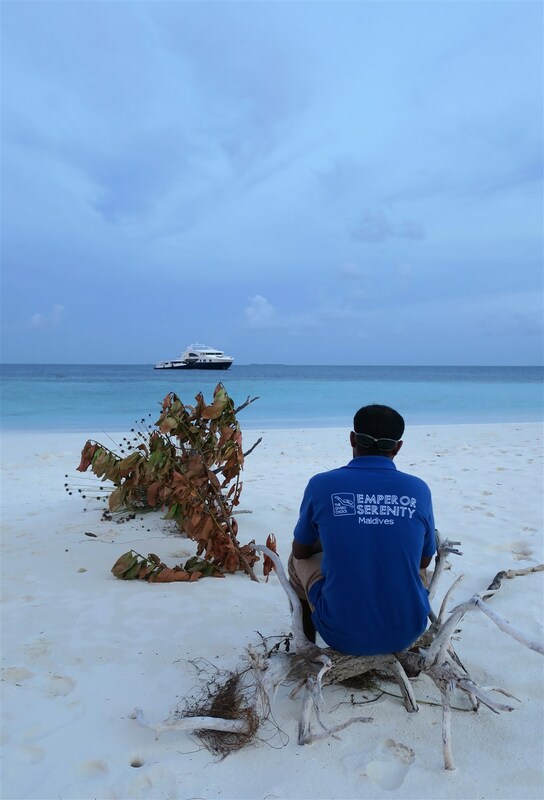 All dives are done from a large auxiliary boat (a “dhoni”, as it is locally called), which provides guests with more space onboard the MV Emperor Serenity, makes divers’ pick up easier and guarantees that you jump into the water right where the dive site is. 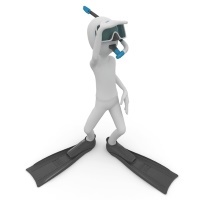 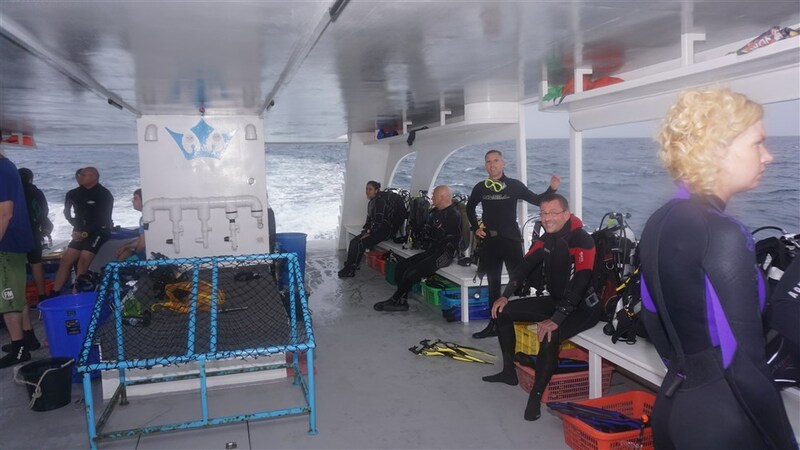 The vessel is rebreather friendly, offers fully serviced dive and safety equipment and Nitrox is available for free. 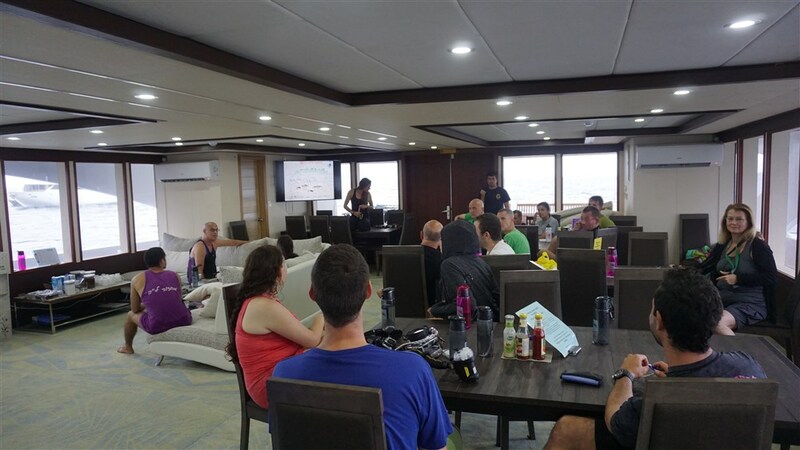 Divers wanting to join this trip do not need to have a minimum number of dives logged, but should have at least an Open Water Diver certification (in which case the maximum depth they will go to will be 18 metres) and should definitely be comfortable with drift dives, as currents can be strong. 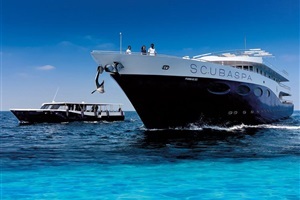 The MV Emperor Serenity also offers a wide range of dive courses onboard, including specialties and even side mounting (subject to availability and itinerary). 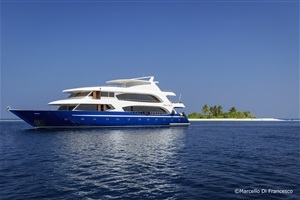 This means that guests can further their diving education while holidaying onboard this yacht, always in a fun and safe way and under the supervision of a dedicated dive instructor. 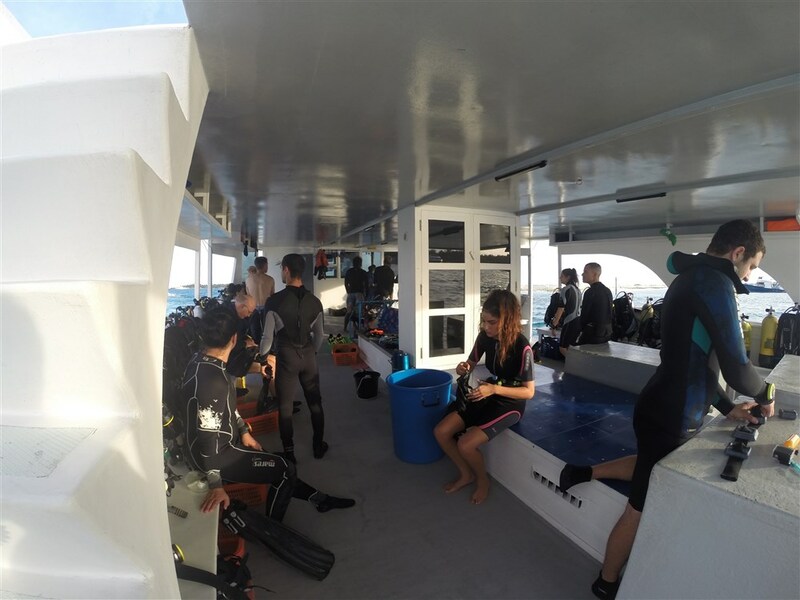 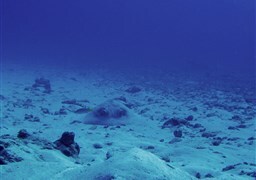 Proof of a valid dive insurance coverage from a reputable company is mandatory and those wanting to purchase it specifically for this trip can do so onboard. 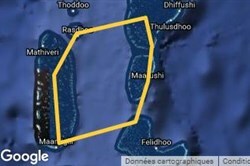 Book your flight into Male, the country’s capital. 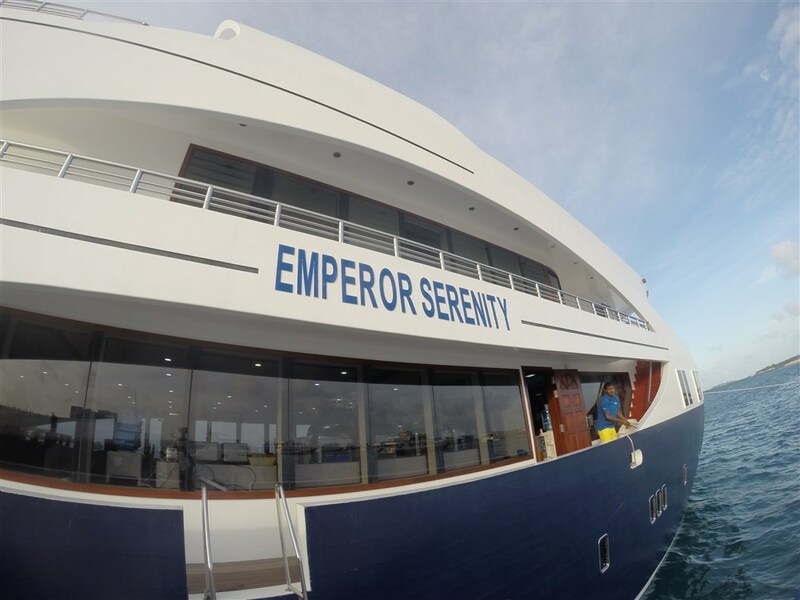 A member of the MV Emperor Serenity staff will be meeting you in Male at Ibrahim Nasir International Airport. 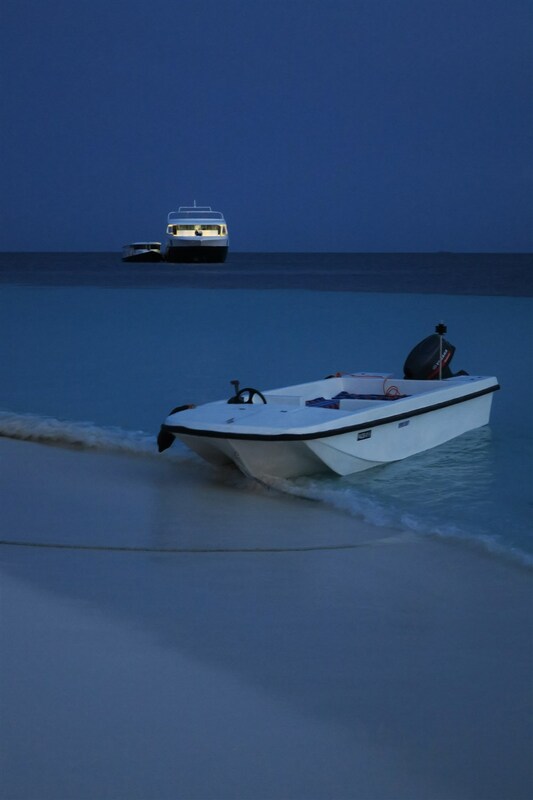 Transfers from the airport to the boat run at 11h00, 16h00 and 22h30 and are free of charge. 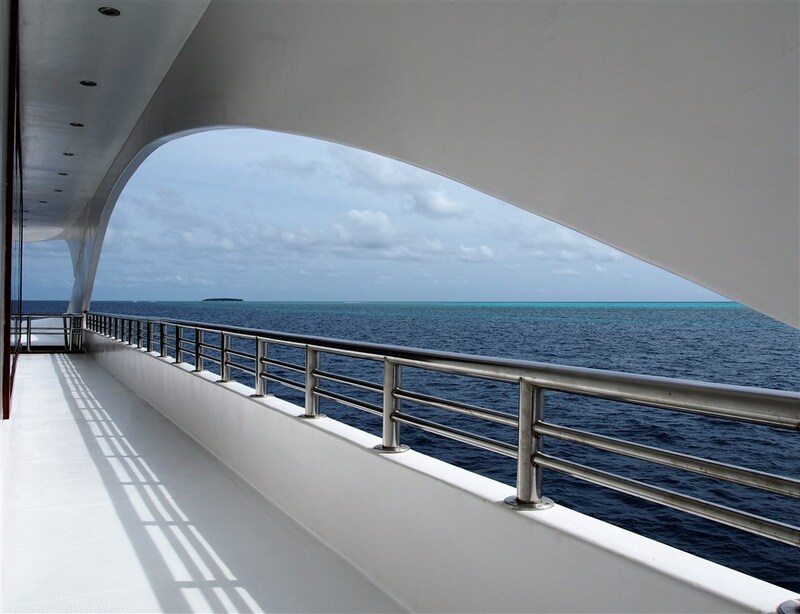 Guests who use the 11h00 transfer have to accept that the boat will not be fully cleaned or ready. 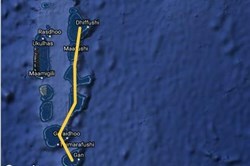 On the last day you will be back to the airport either at 07h30 or at 09h30.